Klipsch X12 Neckband Wireless Earphones use Premium, hand-picked, durable materials to delivers audiophile-grade sound that enhances voice clarity and actively reduces environmental noise. Klipsch X12 Neckband headphones were designed from the ground up to bring together premium hand-picked materials, beautiful copper accents and unsurpassed acoustic technology for a superior listening experience. With an all-day battery, call vibration alerts and carefully-selected real leather, these wireless in-ear monitors provide durability, comfort and audiophile-grade sound that's simply incomparable. 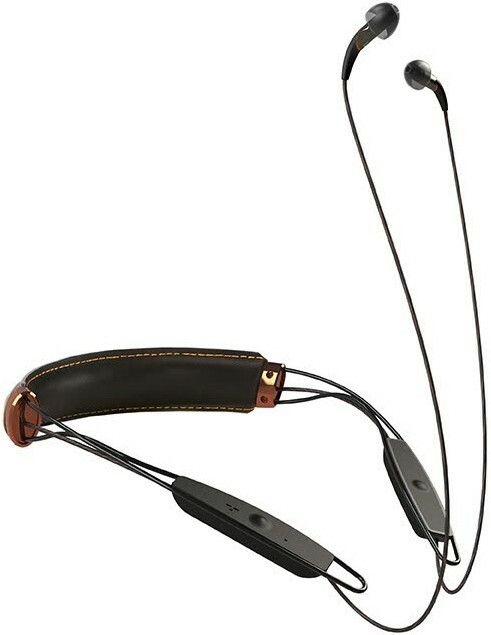 Built with extended usage in mind, Klipsch Neckband headphones use a pair of large batteries to deliver over 18 hours of listening to music and taking calls. The integrated cVc microphone automatically enhances voice clarity and actively reduces environmental noise to ensure your teleconferences are loud and clear. 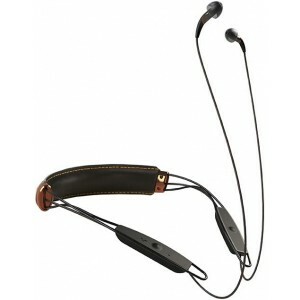 The built-in neck vibration feature will vibrate to notify you of incoming calls. The raised controls let you pick up calls, adjust volume, and track through songs without looking so you can keep your eyes on the prize. If the negotiations get hot, the Klipsch Neckband is IPX4 splash-proof and will continue to work in highly humid and wet conditions. Utilising a single custom KG-926 balanced armature placed inside of a milled aluminium housing, X12i achieves full range response from a tiny form factor. Ported and vented, the balanced armature driver delivers classic tube amplifier sound and unmatched bass performance. With a warm and lush soundstage, the KG-926 delivers dynamics only rivalled by multi-armature counterparts. Bundled with a pair of Comply Ts-100 Comfort Tips, the X12 ear modules will feel even more personalized. With body-heat activated memory foam, these tips provide a more secure fit for those people who choose to arrive at the airport with no time to spare. Offers full control of most smartphone models including Android and Apple devices, allowing for seamless control of music and phone calls. Equipped with cVc®, X12 Neckband Bluetooth automatically enhances voice clarity and actively reduces environmental noise to ensure you sound loud and clear.